AHHA was very pleased to welcome to the village Nancy McKean Conner and her husband Bob, who live in Wauchula, Florida. Nancy is a descendant of the McKeans who sailed across to the New World from Ireland, but her researches have led her to the roots of her family. She’s descended from the MacIains of Ardnamurchan, her people having fled to the plantations in Ireland following the expulsion of the MacIains from Ardnamurchan – see the MacIain website here. 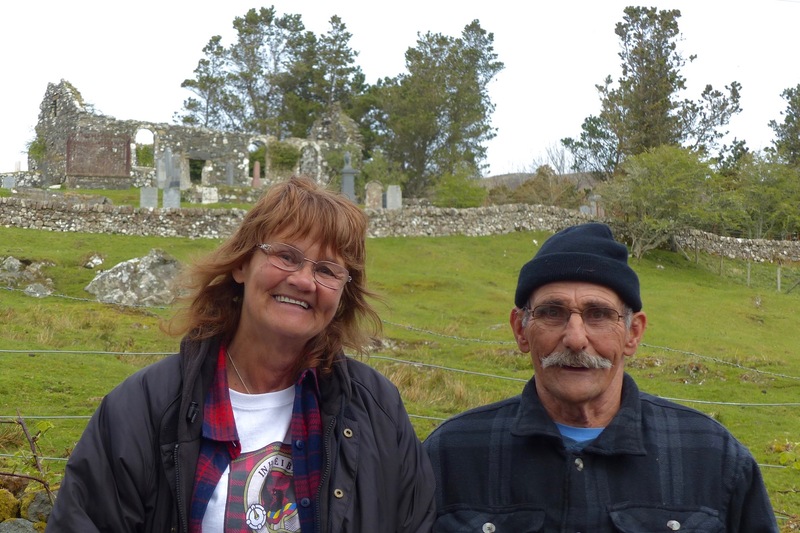 The Conners visited Mingary Castle, the seat of Clan MacIain for some 300 years, and were shown around by manager Sarah McInnes, and then looked at St Comghan’s church (above), where Nancy’s ancestors would have worshipped.